A dietitian is a healthcare professional who is responsible for everything related to the proper application of diet and nutrition (Ministerial Decree 744/1994). In practice, a dietitian promotes and cares for diet and nutrition in physiological and pathological situations: from the development of personalised therapeutic diet plans (based on a medical prescription) to the preparation of healthy menus for groups (school and corporate canteens) and for the sick (hospital catering), including the planning and provision of education and information. 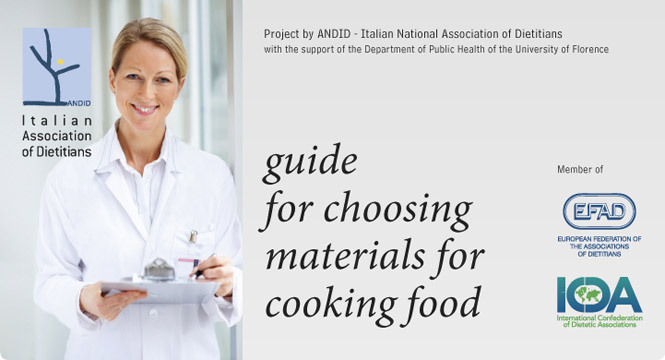 ANDID is the organisation that represents professional dietitians in Italy (Ministerial Decree of 19 June 2006). ANDID represents dietitians, protects their interests, promotes educational initiatives and ensures that they maintain a high level of professionalism. ANDID represents Italian dietitians at the Federation that brings together all dietitians practicing in Europe (EFAD). It also collaborates on the development of European Federation policies to promote and protect human health in Europe and adheres to the European code of ethics drawn up by the federation. ANDID represents Italian Dietitians at the International Congress of Dietetics (ICD). ANDID aims to foster communication and information among professional dietitians, public and private users and industries.